Plan over Mauritius, discover hidden lagoons, secret gorges, vast fields and ancient ruins. 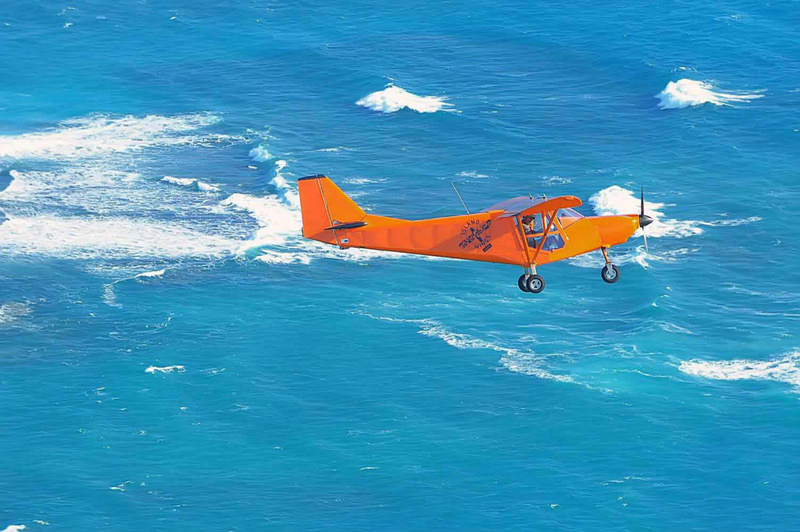 Experience a new way to see one of the most spectacular islands in the world. Traveling in our new plane and your experienced pilot will guarantee you precious memories for life! 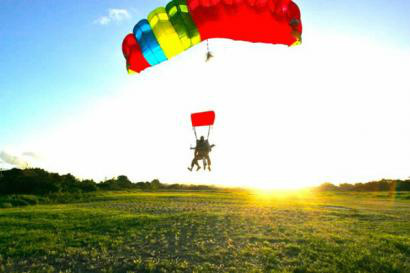 In addition to an unforgettable adventure of a tandem parachute jump, enjoy a spectacular flight over Mauritius. Our plane, equipped with a totally transparent door, offers a breathtaking view: The mountainous landscapes and the famous indigo lagoon of the island! Take off in the middle of the cane fields of Mon Loisir to then fly over the magnificent lagoons and winding reefs of the North Coast where the blues and intense greens mix and make Mauritius one of the most paradisiac islands in the world. Hooked by ultra modern equipment to your experienced and experienced instructor, YOU GO FROM THE AIRPLANE TO 3000 METERS ALTITUDE FOR 40 SECONDS OF FREE FALL AT 200KM / H.
Your instructor will fully control freefall, parachute opening, flight under sail, and landing. You can admire the spectacular views for another 5 minutes before landing safely. The unforgettable experience of a lifetime!